It’s funny the turn my life has taken – I used to do my shopping in stores like Macy’s and Nordstrom’s and now I find that I have more fun shopping in places like Tractor Supply. 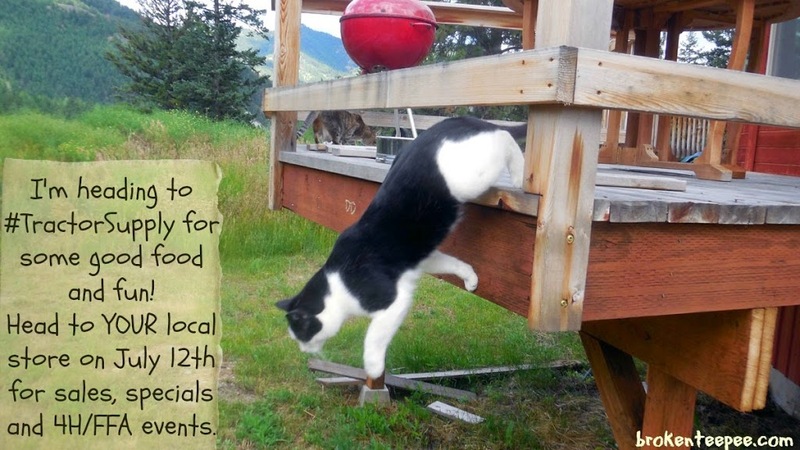 It’s a great place to find everything that I need for the farm animals AND the cats! I can also find many things that I need for around the house. It’s more than a farm store. It’s staffed by experts but they aren’t cold and full of facts, they are your neighbors and friends. That’s what making going into your local Tractor Supply so much fun! 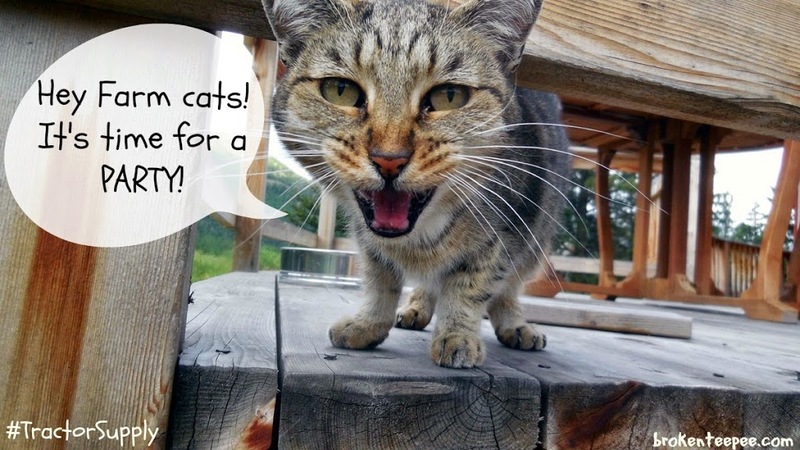 Did you know that you can find food for all types of animals at Tractor Supply? Not just horses, cows, pigs and goats. Oh no! You can find some of your favorite brands of cat and dog foods including Hill’s Science Diet, BLUE, Diamond, Eukanuba, Purina, Taste of the Wild and many others. 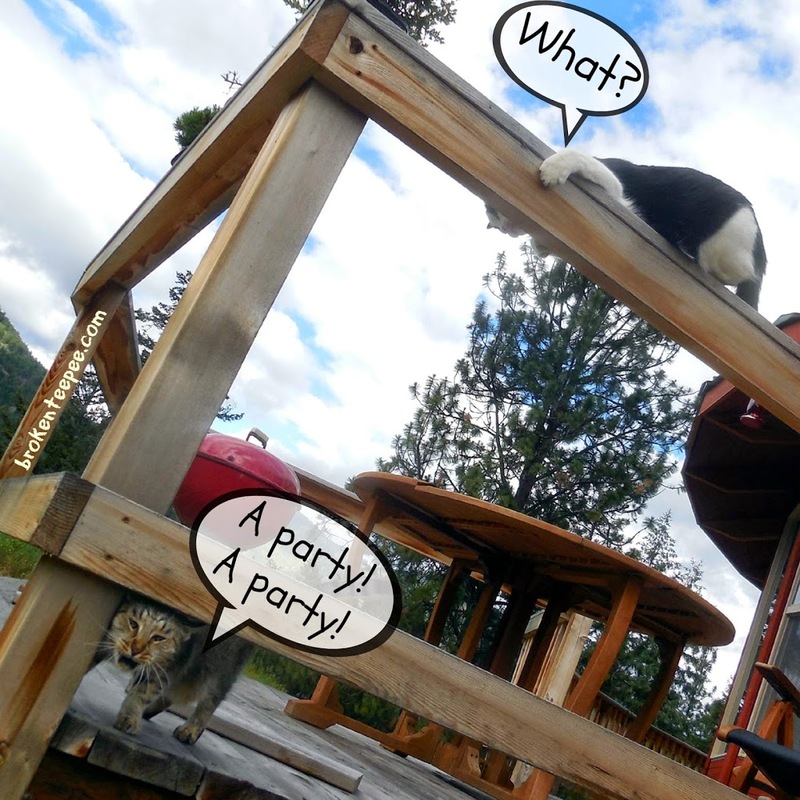 Sherpa the Farm cat is letting everycat know the best way he knows how. 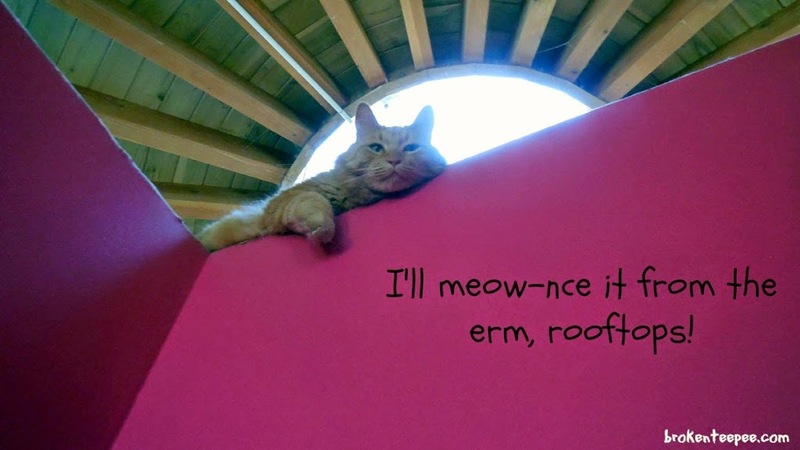 By meow-ncing it from the highest point he can. He is such a helpful cat, isn’t he? Now I just have to be careful he doesn’t decide to jump down on my head. Tractor Supply has a proprietary brand of food called 4health™ brand pet food. It’s made with fresh meat and less filler in every formula for both cats and dogs. A grain free version has just been made available as well. (Free shipping in the US with a $99 purchase!) 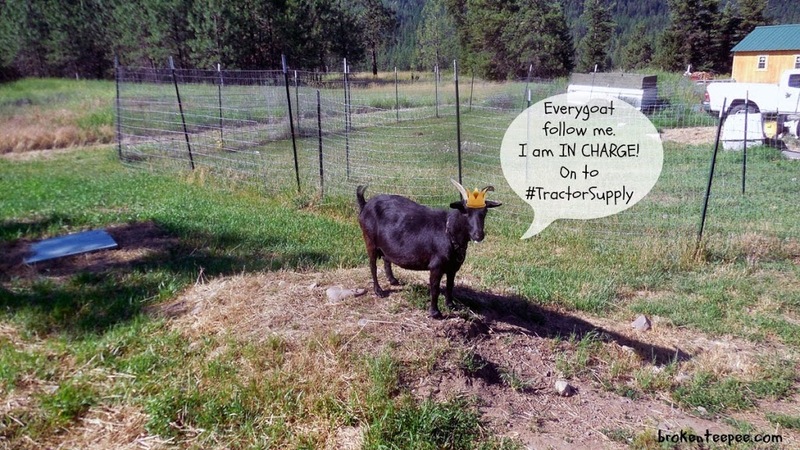 You can easily find what you need online and have it shipped if you don’t have a Tractor Supply close to you. You can read the reviews to see just what people think about this product. Tractor Supply is more than just a store it is truly part of each and every community in which it operates. They are very supportive of 4H and FFA (Future Farmers of America) and you can join the fun on July 12th! There will be celebrations and demonstrations from both groups. The Farm cats are very excited. They like parties. I don’t know if they will be able to contain themselves until July 12th. Maybe until then I’ll keep them busy with all the cat items available at the store. They can find food, toys, treats, carriers and more. Hmmm, I might get lost surfing the site – there is just so much to see. I can also find what I need for the goats and chickens too! 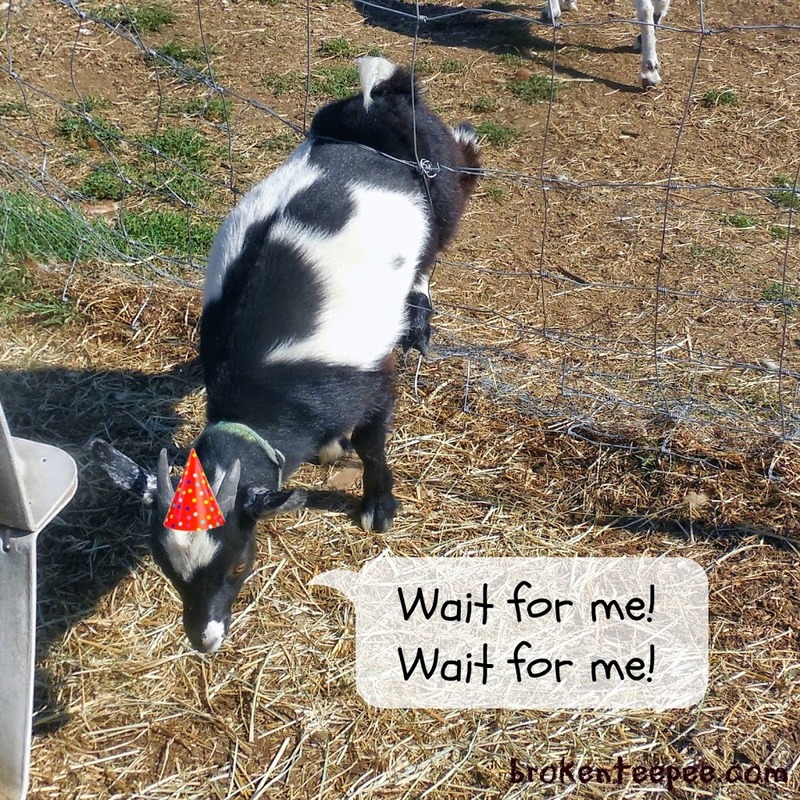 AbbyGoat will lead them to the party on the 12th. She never misses an opportunity for a free snack. She has her party crown on and is ready to go. I keep telling her that she has to first go to the #BlogPawsChat on July 8th! If you have never been to a BlogPaws Chat you don’t know the fun you have missed. Great tweets, lots of good information disseminated and prizes too! Harry is ready for the Twitter Chat – I did have to explain to him that there would be no birdies there. He WAS a little bit disappointed. I promised him some treats for tweets! Hahahaha! So – you have some dates to remember! 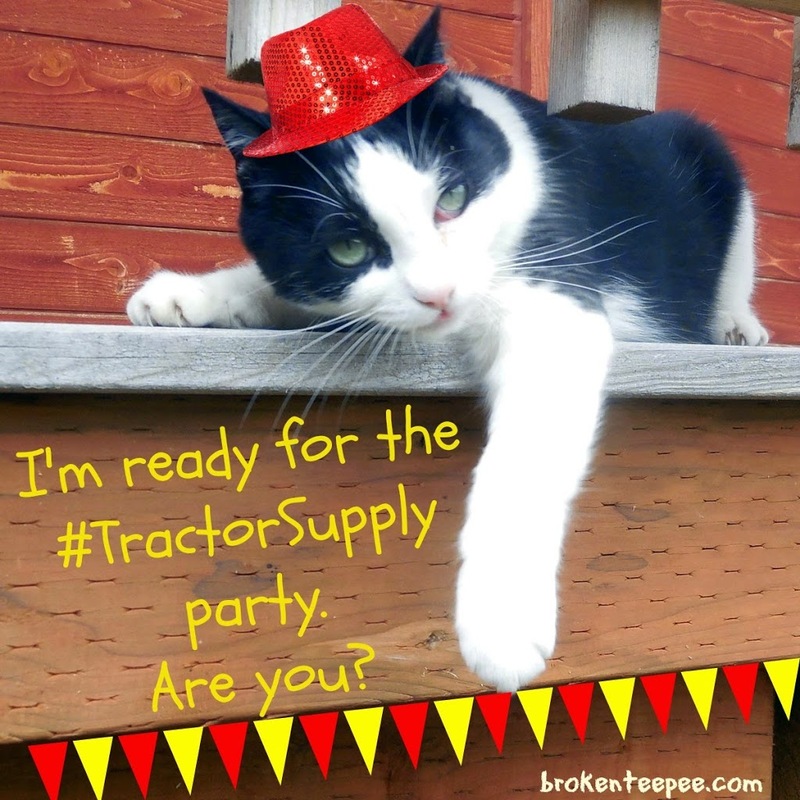 July 12th – Local events and celebrations at all Tractor Supply stores. Check with YOUR store for details. I hope you are all able to check out the fun at your local Tractor Supply. If you don’t have one close by be sure to check them out online. I’m sure you’ll find what you need for your pets. Or for YOU. What would you like from Tractor Supply? This post is sponsored by Tractor Supply Company and the Pet Blogger Network. 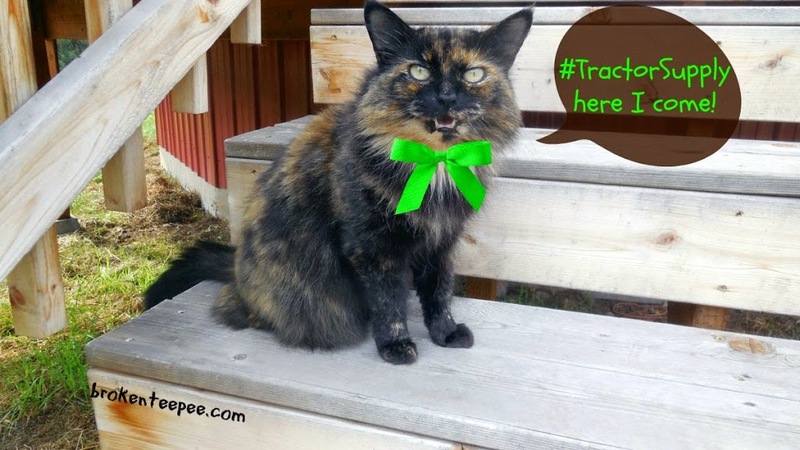 I am being compensated for helping spread the word about Tractor Supply Company and their Purina Days Campaign, but Broken Teepee only shares information we feel is relevant to our readers. Tractor Supply Company, Inc. is not responsible for the content of this article.